Collects S.W.O.R.D. #1-5, UNCANNY X-MEN (1981) #534.1 and #535-544, X-MEN: REGENESIS and UNCANNY X-MEN (2011) #1-3. Kieron Gillen steers the X-Men through FEAR ITSELF, SCHISM and REGENESIS! Beast and Abigail Brand must save the alien-monitoring S.W.O.R.D. agency when Henry Peter Gyrich stages a coup! 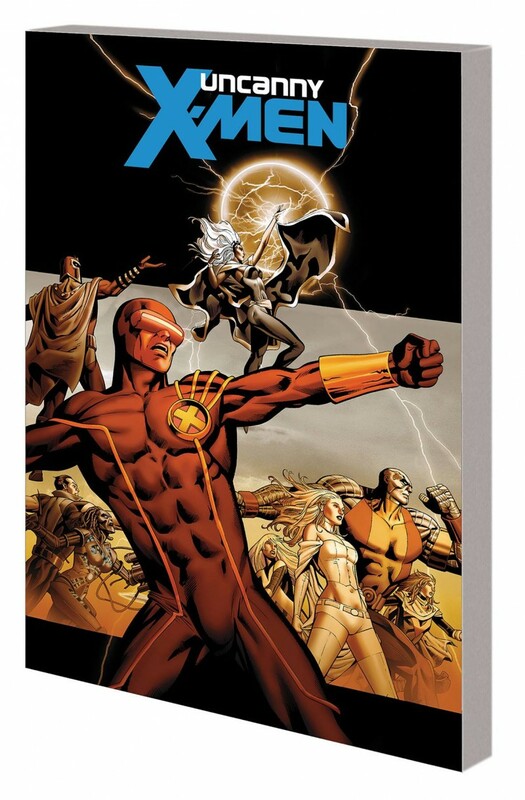 And down on Earth, how will the X-Men explain themselves when the public learns Magneto has joined the team? Making matters worse, a Breakworld warship arrives on a vengeance-filled mission - and when the Juggernaut is empowered by Asgardian black magic, he becomes more unstoppable than ever! Then, after the X-Men are torn in two, Cyclops leads a new ‘Extinction Team’ of powerhouse heavy hitters - including Storm, Emma Frost, Namor, Colossus, Magik and Magneto! And it’s not moment too soon, as world-ending threats are mounting quickly - including Mister Sinister harnessing the power of a Dreaming Celestial!